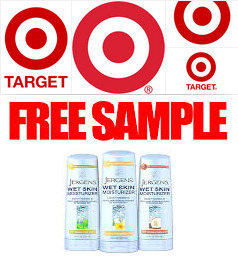 Get Jergens Wet Skin Moisturizer free sample by filling a form in Target website. Start by clicking the "Request Sample" button. To request a sample, you must have cookies enabled on your browser. A window will prompt you to answer a few survey questions. Please note that, due to limited distribution and the targeted audience, some samples may require answers to qualifying questions like age, zip code and/or questions related to the product, to determine eligibility to receive the sample. After finishing the survey, enter your complete name, address and email so we can send your sample by mail. One sample available per household. Please allow 3-5 weeks for delivery.